SIDNEY — Love them or hate them, most people have new year’s resolutions in one way or another. Whether you already have a resolution or not, it’s never too late to make one, or add one to your list. Not sure on how you want to improve yourself this year? It could be time to consider a resolution that would benefit the environment. We can all do small things in our daily lives that will make our earth a better place to live. The following list is full of suggestions to help you get started. Remember, start small so you don’t become overwhelmed and frustrated! Cut energy costs. Install energy efficient lightbulbs, install a programmable thermostat to adjust the temperature for peak efficiency, change furnace filters on a regular basis, look for Energy Star labels when replacing old appliances, and shut off lights while not in use. Recycle. Contact your local utilities department to find the best way to recycle in your neighborhood. Curbside pickup may be offered where you live, or you may have to take it to a community receptacle. If you already recycle, you may want to make sure you are recycling the proper items, so the batch doesn’t become contaminated. You may go to http://www.ncowaste.org/ for further research. Turn your kitchen into paper/plastic free. Do not use paper plates/bowls/silverware/cups. These items are meant for occasional entertainment of large groups – not everyday use. Cut up old rags and keep a drawer-full to use instead of paper towels. Use cloth napkins instead of buying expensive paper ones over and over. Reusable silicone covers for bowls and dishes can replace plastic wrap and foil. Purchase reusable sandwich bags that can be tossed in the wash instead of plastic baggies. Think of all the money you will save! Compost. Composting can seem very daunting and ‘farm-like’. But trust me, you do not have to live on a farm to compost your food wastes. Simple devices and instructions found on the internet can help anyone turn food wastes into a nutrient-rich fertilizer. This fertilizer can be used to naturally enrich your garden and/or landscaping. Plant a garden. By growing your own food, you can cut back on wasteful trips to and from the grocery store. It also allows you to know exactly what is on your plate and how it was raised. January is the perfect time to start this planning process. Protect water quality. Whether you have a community water supply or your own well, an adequate supply of clean fresh water is essential for healthy living. We can all do our part by carefully applying fertilizers or pesticides (if any at all) to our lawns, gardens and farm fields to reduce runoff into local water bodies. Cleaning up behind our pets and carefully applying manure when ground conditions are right also help to protect water quality. Protect the topsoil. The majority of a plant’s root growth takes place in the topsoil. Keeping topsoil covered with mulch or cover crops can go a long way toward reducing erosion by both wind and water. Invite us into your classroom. Programs to enhance curriculum for all grade levels about watersheds, soils, trees, agriculture, wildlife, recycling and more are available at no charge. Contact me at Sophie.hurley@oh.nacdnet.net or 937-492-6520 ext. 2589. 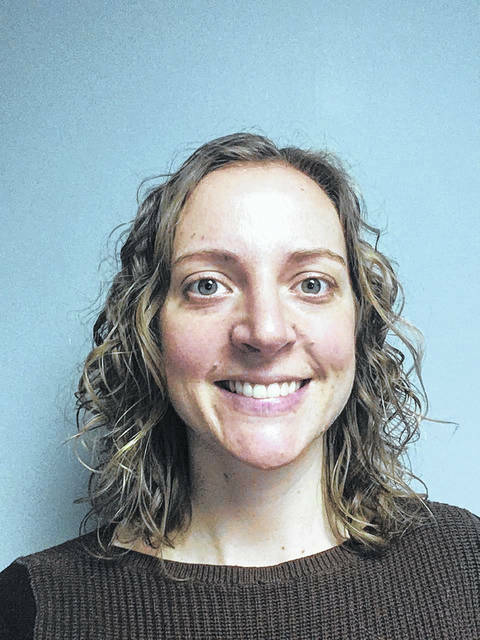 The writer is the education coordinator for the Shelby Soil & Water Conservation District.